Thanks for making me almost choke on my lunch from laughing so hard. 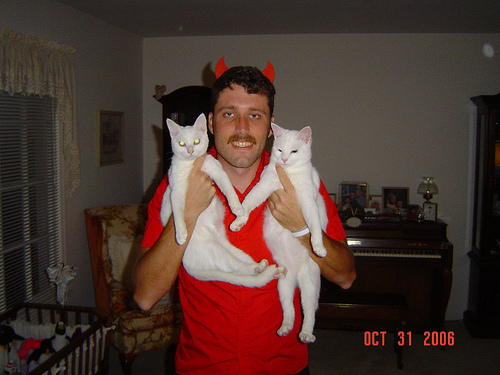 When can I get a cat hat??! 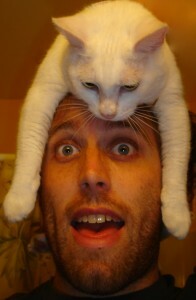 Ryan, we’re working on perfecting “Cat Hat”. In the prototyping stages right now, trying to humanely keep the hat from getting angry in the wearing process. Stay tuned to this site for updates. I’ll mark you down as one of the first recipients. …man… I have no idea how I get here, but I laugh my eyes out… The Best!! Sometimes things just work out my friend. Now you got the knowledge you need to be fashionable. Keep coming back. Best wishes, keep it fresh.